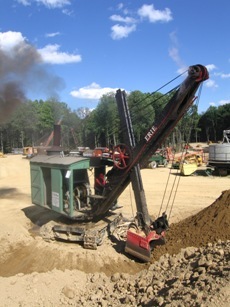 Steam shovel: 1927 Erie Shovel Co. Type B. A steam shovel was truly powered by steam, and rode on crawlers or steel wheels. It was full-revolving; that is, the entire upper deck revolved 360 degrees.